Devised Theater Workshop: Alex Torra (Associate Artist with Pig Iron Theatre Company). November 16 – 17, 2017. Junior and Senior BFA actors, MFA actors. Noel Coward Intensive: Maria Aitken. December 7 – 10, 2017, MFA actors and directors. Audition Workshops: Ian Belnap, Artistic Director, The Acting Company. 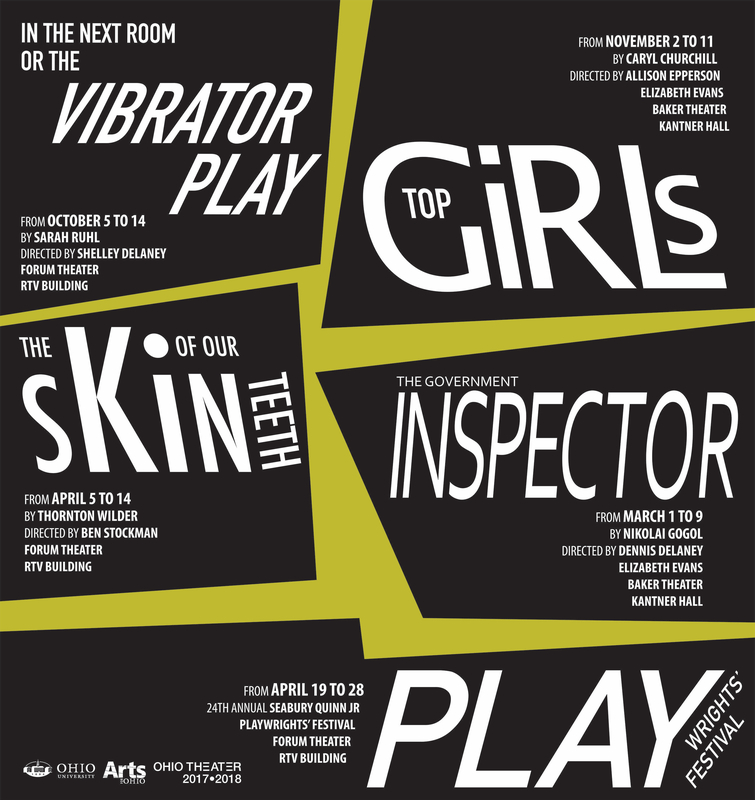 December 7 – 10, Senior BFA actors and MFA actors. The Sonnet Project: First steps in the developmental evolution of a new work based on Shakespeare’s sonnets with Devin Brain (director) and Meg Miroshnik (Playwright). January 17 – 19, 2017. Students ranging from first year undergraduates through third year MFA’s were active participants. Devised Theater Workshop: Alex Torra (Associate Artist with Pig Iron Theatre Company). December 2 – 4, 2016. Senior BFA actors, Directing students, MFA actors and Production Design and Technology students actively participated.